In ancient times long gone by, when the veil between the world of the humans and the realm of magic was thinner, almighty wizards battled each other in epic duels to determine who was the master of sorcery and arcane wisdom. 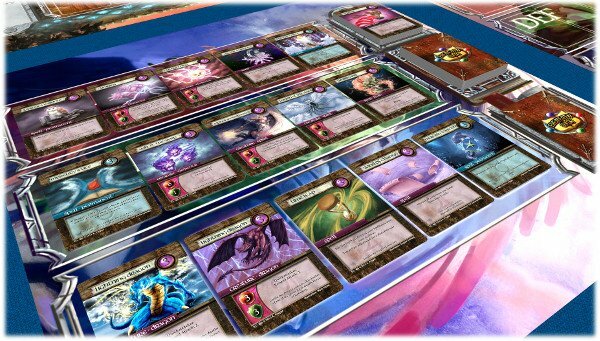 Elemental Clash is an easy-to-pick-up, yet very strategic and fast-to-play game for 2-4 players who can build decks from and play games with a pool of over 250 exciting cards. 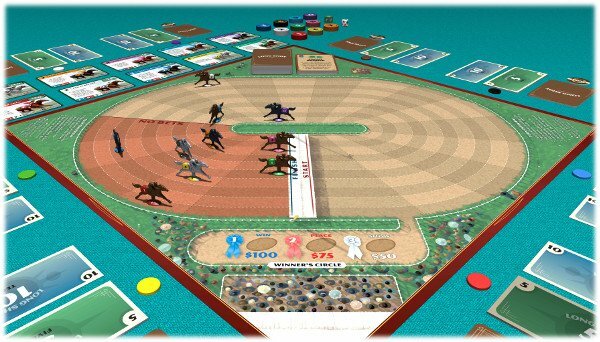 In this family-friendly horse racing board game from Chris Handy, players bet, buy horses, and strategize as the race unfolds. Long Shot includes over 100 unique cards allowing players to combine strategies and resources for maximum control of the race. Will you buy a horse or two in the hopes of winning some of the purse, or will you bet it all on the long shot? Burning Rome is a game about managing armies, strategic planning of your campaigns for conquest, tactical skirmishes, sieges and battles. The game includes several elements of deck building, area control and worker placement and is set in the ancient world of hand to hand combat, war elephants and epic battles. Playing time: 15 − 25 min.